As you plan to build a new home, the choice of community is perhaps the most important decision you’ll make. You'll want a convenient location that offers an atmosphere that fits your lifestyle. The great news is that there are a number of new communities throughout Edmonton that can meet the needs of different types of families. Below are some things to consider as you explore potential neighbourhoods. First and foremost, you have to decide which type of home you want and whether that type is available in the community you want. You’ll find that most neighbourhoods offer a mix of home styles, such as single family homes, townhomes and duplexes. As you determine the best home options for you in a community, also take some time to consider how architectural and landscaping guidelines will factor into how the exterior or your home will appear from the street. After you find a home style you like, a reputable builder will be able to tell you which communities your desired home is available to be built in. If you start by finding a community first, you can narrow your search to the builders that are selling in that community. You likely spend most of your days at work, so you’ll want to pay some attention to the length of your commute. Some people want to live incredibly close to work, which may be difficult depending on where that is for you. The important thing to remember is that your work situation can change, so it's sometimes best to select a community that’s close to major highways so you can easily get anywhere in the city. Don’t forget to think about what it might look like to drive you and your kids to activities during the evenings and weekends. Consider where you will traffic to on a regular basis - kids' activities, family and friends, shopping locations, and other hot spots you like to visit frequently. Again, these interests could change, but given the opportunity, you might want to choose a community that’s close to where you'll spend a lot of your free time. You want your children to get the best education possible. Luckily, Edmonton’s school boards offer excellent programs for most students. Each neighbourhood has a designated school, but you're able to enter a lottery for enrollment in other nearby schools. This allows you to find a school with the appropriate programs for your kids. For instance, you might want a school that has a French immersion program or an International Baccalaureate program. 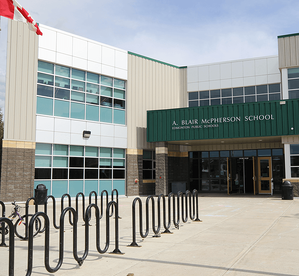 Alternatively, you might seek out a neighbourhood that has a school within walking distance. Many families find that most of the kids in the neighbourhood attend the same school, making for friendships that are formed closer to home. Some communities feature unique amenities that can make the neighbourhood a great place to live. 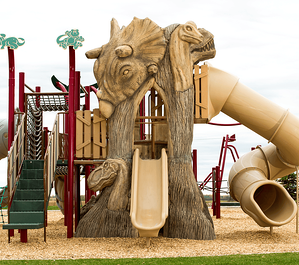 Features like walking trails, easy access to nature reserves, and playgrounds can improve your quality of life. Ultimately, people often find that there’s something about the feel of a neighbourhood that makes it right for them. You can’t get that sense without visiting a few different places, so make some time to tour some communities throughout Edmonton. Once you do that, you’ll be able to narrow down your choices.